Electrical access is provided through frame to top of building as a standard option. If electrical access is required in specific areas or must be routed through the frame in a specific manner, this must be specified at time of order. Electrical cutouts are available for an additional charge. Exact location and any specific size requirements need to be identified at the time of order. 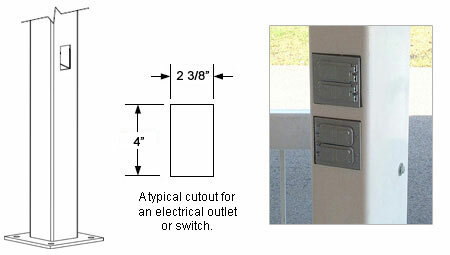 Refer to this electrical cutout form when ordering.